Our Favorite Summer Trends | Havenly's Blog! Summer is officially here and we are here for it. Sunshine, frosty drinks, barbecues, lounging poolside — we’re all about it. Want to know what’s on our mind for summer? Read on to see what we’re summer crushing on. Stripes are always a classic print for summer, evoking thoughts of soaking up sun on a catamaran or enjoying a fruity drink on a lounge chair somewhere exotic. 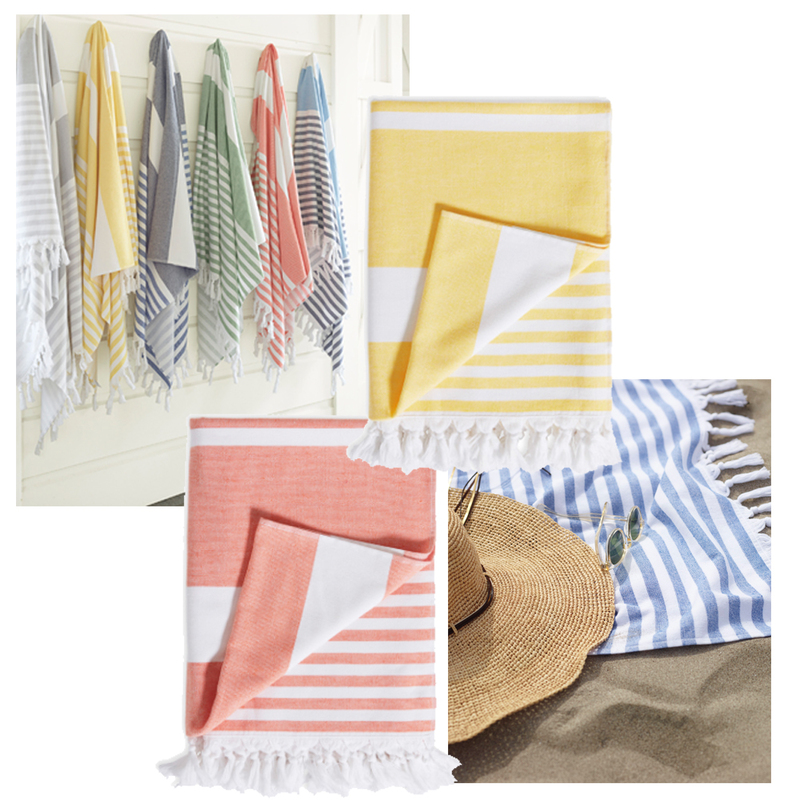 When done in sorbet worthy colors like Papaya and with a bit of fringe on the end, these are a much more chic take on your classic beach towel. Botanical inspired prints are an obvious choice for summer, but we’re loving bold takes on petite garden florals a la the Liberty for Anthropologie collection. Saturated colors and a high contrast palette keeps this floral feeling daring, not dainty. 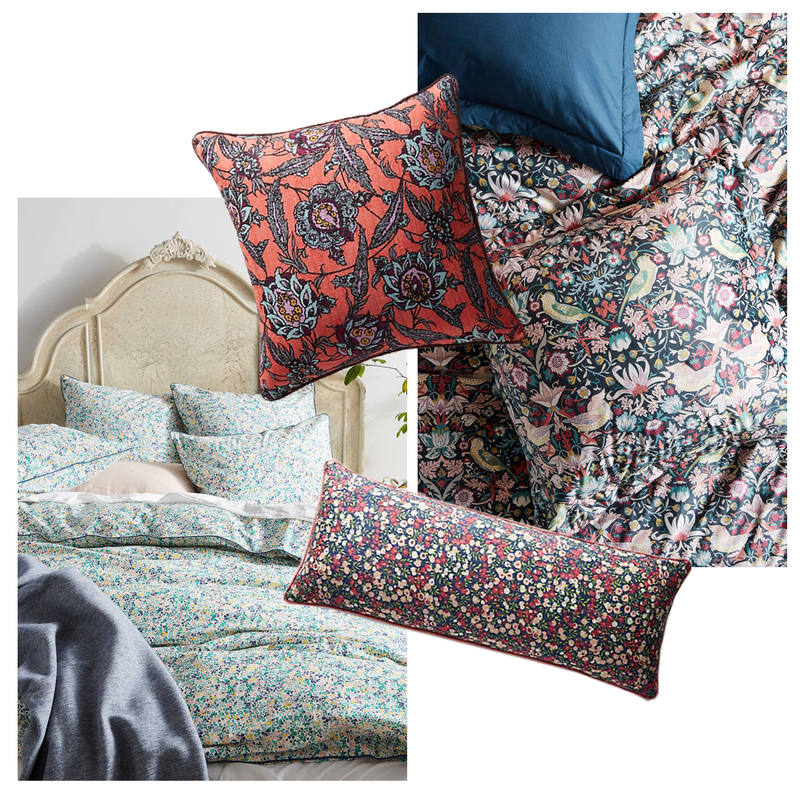 We love this print for a bold bedding look in a guest room! Moroccan inspired tiles are becoming a classic look for kitchens and bathrooms, but we’re also loving tile inspired designs for rugs. 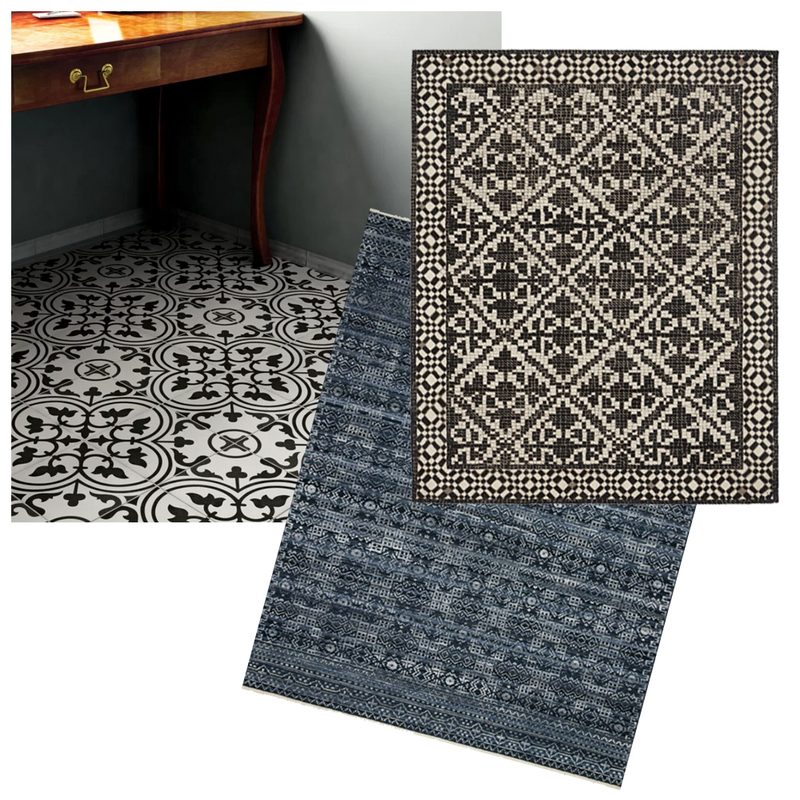 With a bit of a vintage feel, tile inspired rugs bring in texture and visual interest to a space without feeling overwhelming. 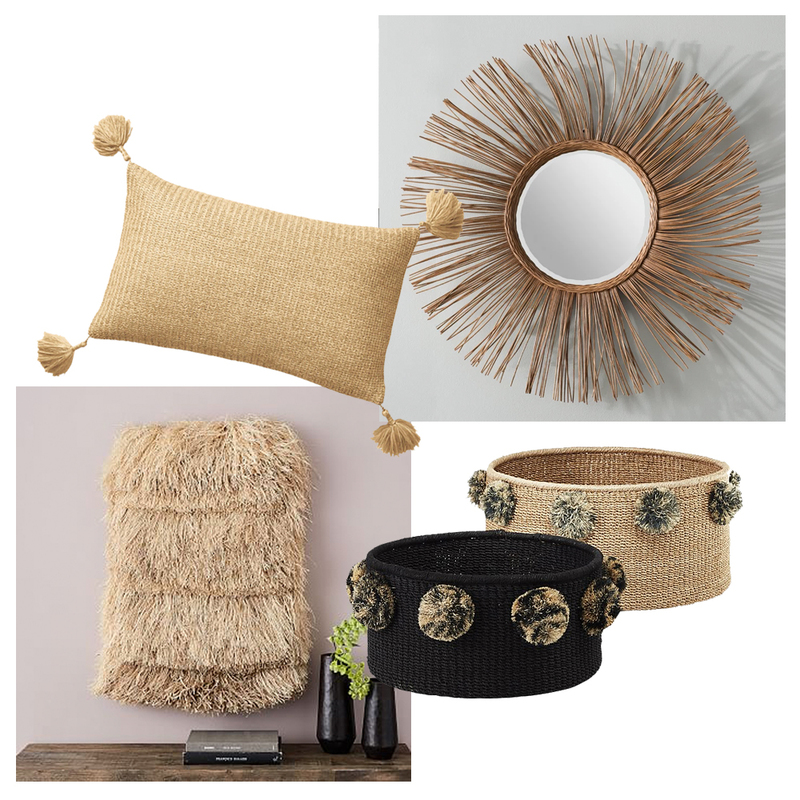 Raffia, rattan and natural fibers immediately come to mind for a boho or coastal summer look and we love using it to bring a little texture to wall decor. Raffia accents on throw pillows are also an unexpected way to bring a bit of natural texture to a sofa. Staycation-ing? Talk to our experts today to get some insight on a summer refresh for your own home — or shop our round up of favorite trending summer products here!